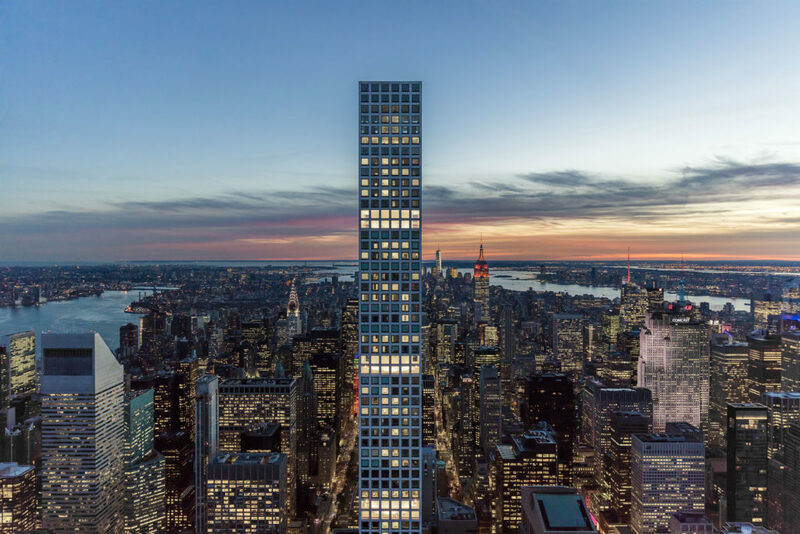 Rafael Viñoly has become one of the more prominent designers of Manhattan’s residential real estate in recent years, and today, YIMBY has the first rendering for the architect’s latest skyscraper, at 249 East 62nd Street on the Upper East Side. While the tower will technically comprise only 32 floors, it will stand 510 feet to its rooftop, taking advantage of a Jetsons-esque podium to boost its upper levels high into the neighborhood skyline. The Schedule A for the project reveals the exact configuration, and shows that retail and a townhouse will occupy the base of the building. Those will be topped by apartments rising through to the 12th floor. Above that, the 13th through 16th floors will all be mechanical, with the 15th floor holding the residential amenity spaces, including a bar/wine tasting area with private dining room and pantry, a media lounge, and a study. Residential space will then continue, with three units per floor from floors 17 through 29, and then another three mechanical floors up on the very top. The 17th floor will start about 350 feet above street level. While the total construction area will be just over 150,000 square feet, the retail will total 2,588 square feet, and the residential space will clock in at 98,526 square feet, divided amongst 83 units. At an average size of about 1,200 square feet, condominiums are exceedingly likely. The configuration of 249 East 62nd Street begs the question of whether Viñoly’s design for the site could start a trend to rival the cantilever. The extended mid-section of the tower results in the displacement of a substantial amount of residential space to an elevation far above what one would normally expect for a 32-story building, and is likely to result in pricing that is far higher than what would otherwise be possible. As engineering continues to improve, it seems that the premiums people are willing to pay to live in neighborhoods like the Upper East Side could be a driver behind additional developments that mimic 249 East 62nd Street. In any case, Viñoly’s design could certainly become iconic for the surrounding neighborhood, which is generally low-rise. The concrete pillars which contain the condominiums combine with the interspersed mechanical floors to create a vision that should be quite elegant, and even if 249 East 62nd Street isn’t anywhere near as tall as 432 Park Avenue, it certainly expounds on the same economic functionality that has driven the construction and deseign of both developments. No formal completion date has been announced just yet, but the site has been vacant since 2010 and construction permits were approved as of late 2017, so it appears that work is now a go. Real Estate Inverlad Development LLC and Third Palm Capital are behind the project. 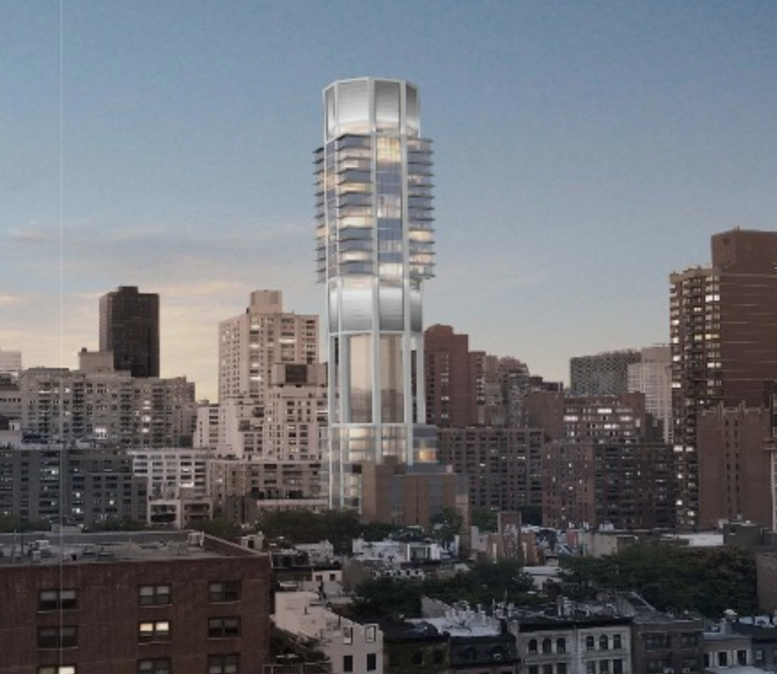 14 Comments on "Viñoly’s Jetsons-Esque Skyscraper at 249 East 62nd Street Revealed, Upper East Side"
Please pardon me for using your space: Hair standing on end with amazing design. A nice contrast in design and cooration to slim & stark 432 Park. But again, penthouses that are not truly penthoses. And is that what in the photo looks like a large airy columned space in the bottom half? Or is that an illusion? How does this fit in this neighborhood ? How much light is going to be blocked from the surrounding are? What are the changes in air flow/ wind ? – is it just more parked out of country money with tenants that don’t contribute to the local community ? As someone who lives a block away on 62nd and 3rd, I’m properly pissed that this is going up. The only way to describe this glassy turd of a building is that it looks like an alien demolished a couple townhouses to park its spaceship. remarkably ugly building, hoping it may lift off and reach Jetson’s future. Can this guy stop defacing our city? Wow…that is one ugly critter. I think Viñoly is just playing with y’all at this point. Lmao. If this one burns egos like his other one burns cars, then it has my vote. I’ll start excavating with my beach shovel if it does both. The very picture of alienation. Outward ‘suburban flight’ now thrust upward. San Gimiano redux.